Building the Foundation one number at a time! We've bought the land! We've cleared the land! Now, we are ready to pour the foundation so we can start building! Our Father's House will be community center in Haiti. The first floor will be a trade school and provide training for Haitians. The second floor will be a missionary houseing unit. 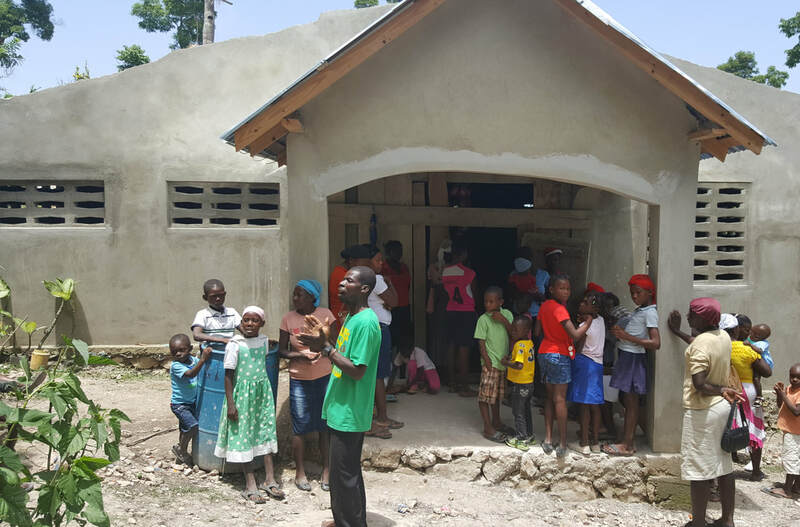 Our Father's House will be a meeting place for Haitians to learn skills and the Gospel of Jesus Christ from Missionaries. Only God can do this! People living here in the mountain of Haiti prayed for years to have a place to worship. God answered their prayers and built a church! Now, the community of 160 children need your help. They are praying to establish a school in the church to bring a FREE education to the children community. ​We need your help to help them help themselves.